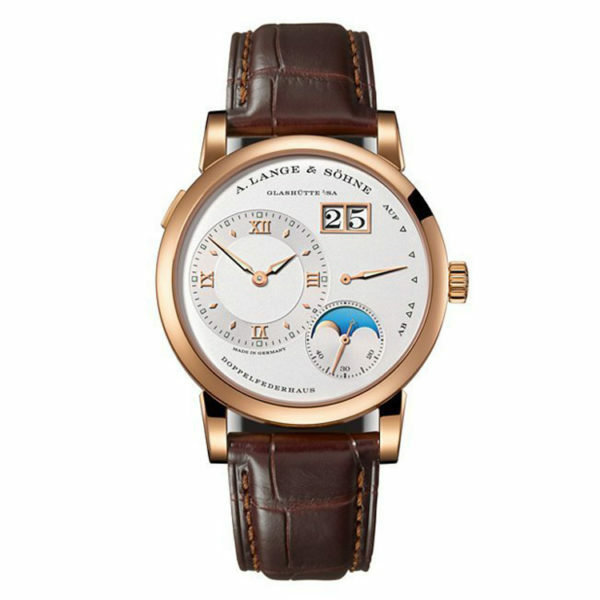 Previously owned A. Lange & Sohne Lange 1 Moon phase, Model # 109.032. 18kt pink gold 38.5 mm case. Hand-stitched crocodile strap. 18k pink gold buckle. Silver dial. Sapphire crystal glass and case-back. Off-center hours, minutes at 9 o’clock position, moonphase at the 5 o`clock position. Patented big date at 2 o’clock position. Quick date reset button at 10 o’clock position on the case. Power reserve indicator at the 3 o`clock, pink gold hands and Roman numerals. Mechanical with manual winding movement, 3 day power reserve. 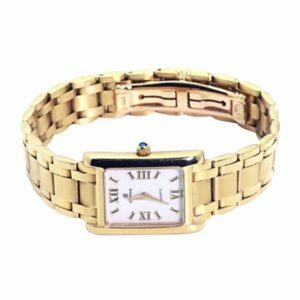 This watch is in superb mint condition and comes to you with original box and papers.